The care and keeping of landwight relations is underemphasized in the many writings on Northern European folkways. Yet, it is the wights, (disir, alfar, house wights, land wights, tompts) who actively strengthen—even more than our ancestors, and more than our gods–our vital link, our holy bond, to Nerthus, the earth, this place we occupy day and night until we leave. It is the wights with whom we spend much of our time, knowingly or not. As an essential part of our world, it is equally essential that they become part of our daily lives conspicuously, both for them (for they are attached to the lives of the folk) and for the folkway we follow (everything we do to honour our ways helps our Holy Nation). Wights, like every being, are attracted by some behaviors, and repelled by others. Loud noises, violence (esp. blood spilling), destruction of natural habitat to the extant that there are no wild places immediately available, will drive wights far away from a person’s dwelling. Since much of our current world is apt to contain elements of each of these (freeways, televisions, urban areas, factories, high crime, loud music, super sized mall parking lots….) it is likely that wights will have to be attracted back, rather than cultivated where they are, for many of us. Many among us have probably felt the empty ‘soulessness’ of such places we must move around in. As they have become ‘alfrecked’ (ruined and blighted) the wights have left them. It is now our duty to reclaim some of our world’s soul, some of our folk soul, and make sure that some places are worthy of wights again. The fact that some of us live in Vinland, not the Odal lands, does not make any difference to the wights—our wights stay with us, and our wights travel ancestral lines with us; we will attract wights who are attracted to us. Even if you live in an apartment off of a highway, next door to a fire station (although it will be a bit of a challenge!) you can attract and maintain wights. Don’t worry about attracting the ‘wrong sort’ of wights—much of the bad reputation wights have been given comes directly from Christian mistrust of all non-human entities; the rest of the so-called ‘bad’ behavior is due to the fact that, plainly and simply, wights hate to be ignored and/or reviled, and like most beings, they will act up accordingly when treated that way. When treated with the appreciation and respect due them, they respond in kind. The first thing to do is to let them know that you are looking for them and welcoming them. Pick a place, in your home or on your land , that shall be theirs—make sure it is kept wild and natural (or at least dark and cozy—but still close to the ‘heart’ of your home, traditionally this was the hearth, but if you don’t have one, wights can and will make do) from that time on. Next, perform a small hallowing ceremony of simple words such as “Hail all wights who dwell near this stead, come and be greeted with honor and reverence.” Thus a piece of this alfrecked world has become un-wrecked once again. Soon after you do this, leave out a bowl of oatmeal, cooked with whole milk or cream, and topped with butter and honey: saying “Come wights, and here is the gift due you. Come and bring your weal and main to this place”. And, wights will come. The amount of time you leave this offering out and how often you regularly honor your wights are up to you. After a while, you will notice that you feel inclined to offer other things; do so. Wights operate, like runes, on the same plane that intuition is borne from. Working with your wights will lead you to understand them, and they you. One thing to keep in mind when offering anything to your wights, never pass off table leftovers and other thoughtless bits to them, they know the difference and will not feel honoured to be thrown scraps—all offerings must be as thoughtful and as holy as is the act of offering itself. Upset wights will upset your entire life, as much as happy wights will benefit it. Wights enjoy having a role in the household. In the past, it was the wights that folk turned to first, before the gods. (This is akin to turning to your family/neighbors before you turn to your leaders). Ask your wights for help in guarding your stead, in promoting well being in your household and for looking after all the little things that households and families contain—from abundant gardens to finding lost keys. Wights thrive on being part of the folk. And the folk thrive with the might and main of the wights. As an integral part of our folkway, wights deserve all the same honour and recognition that is due to our ancestors and our gods. They are part of our organic whole. 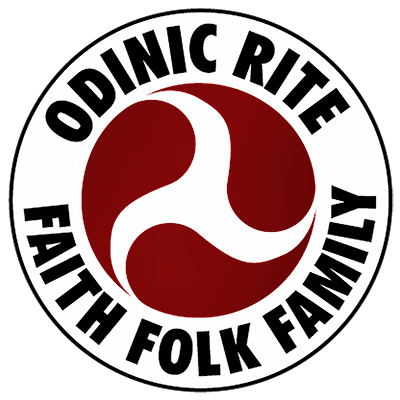 Welcome the wights and maintain your relationship with them — the faith, family and folkway of Odin’s Holy Nation and all of Midgard will be the better for it.